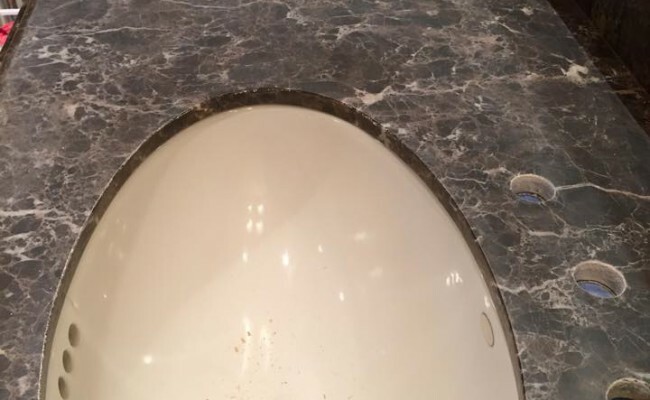 Marble Vanity Top Lost its "WOW"
This once-beautiful marble vanity top impressed this homeowner's guests every time they entered the guest bathroom, but despite routine cleaning, the marble had lost its shine. 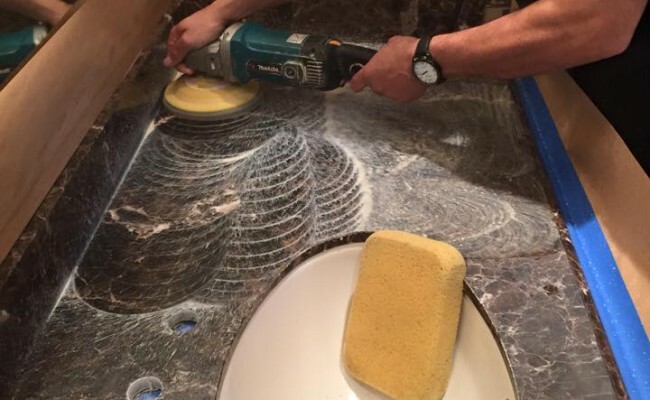 That's when the homeowner called the marble experts at Stonewood Hard Surface Cleaning & Restoration. We honed the surface to eliminate scratches and other damage from everyday use, and polished it to a glossy shine. Then we applied an impregnating sealer to help protect the marble and make it easier to clean. 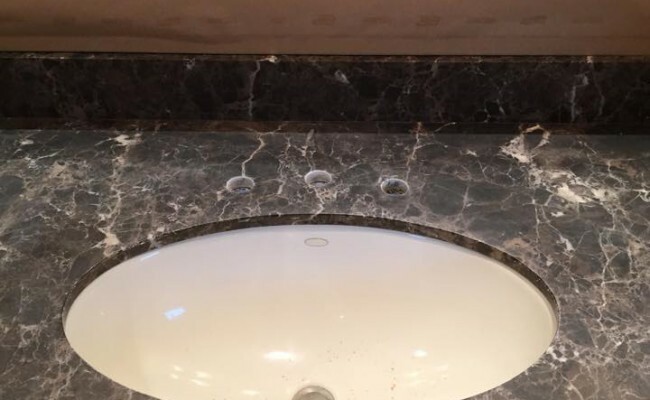 The homeowner was thrilled with the results, and she already scheduled an appointment for us to come back next year so the marble keeps that "wow" shine. 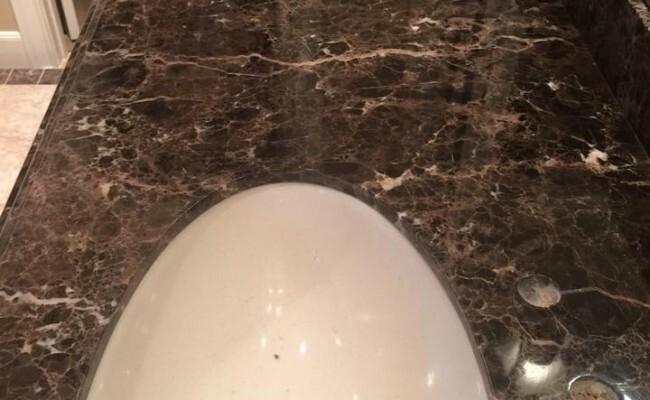 Do you want your marble vanity tops to look as good as new? 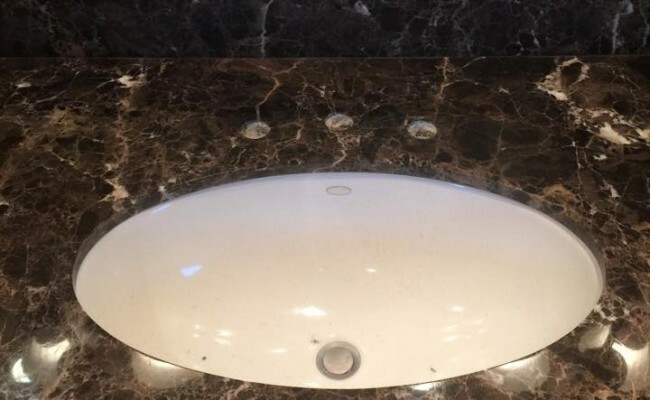 Then contact the marble experts at Stonewood Hard Surface Cleaning & Restoration. We are a certified Stone & Tile PROS Partner.